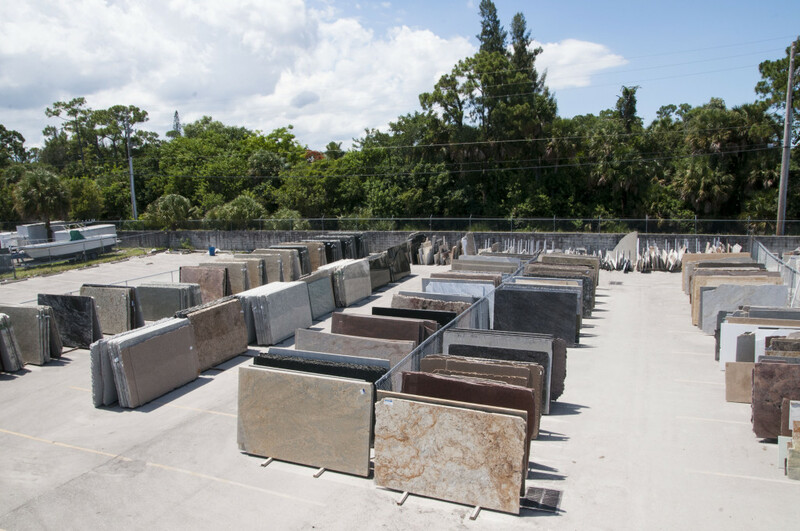 This year, Palm Beach Countertops imported over 25 containers of granite, quartz, marble and quartzite. Our granite yard just recently got reorganized and arranged, our level 2 added over 30 new colors. Some being beautiful, quartzites and exotic granites that have been brought down in price. Our Level 1 granite section, which is the most affordable, added about 15 new colors. We also added about 12 colors of Palm Beach Countertops, quartz brand, Master Quartz. All of our new imports are 3 cm material, which is an inch and a quarter thick.